Close your eyes and picture yourself in Peru. I bet you see Machu Picchu, maybe a llama by your side and a glass of pisco in your hand. That’s what I envisioned anyway. Sand dunes and an oasis were the last thing I thought of. But sure enough, Peru has a way of surprising you. 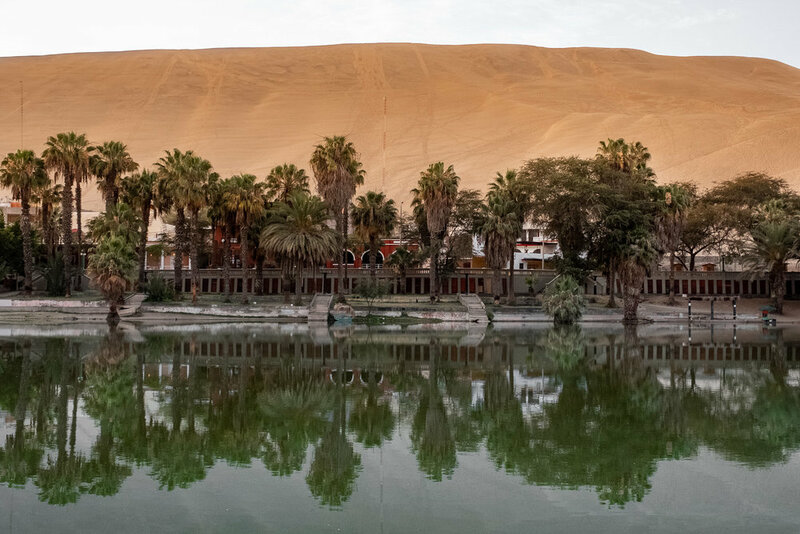 Ica and the famous oasis of Huacachina are only a few hours South of Lima. 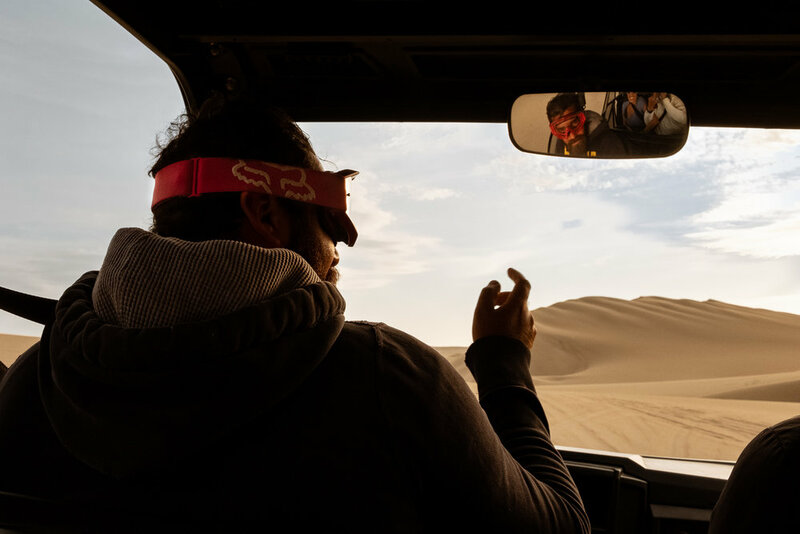 There you’ll find dunes as far as the eye can see, where you can take in an epic sunset and thrilling dune-buggy ride. While this was certainly a highlight, I rounded out the visit with a tour of the oldest winery in South America and some fresh seafood and street eats. Obviously, if you’re going to be venturing out into the dunes, make sure you time it for sunset. The logistics are pretty easy. Around Huacachina you can find companies that offer buggy rides. Most of them will take you out with a group, drive around in a few loops, let your try sandboarding and then drive you to a peak to watch the sunset. These companies are fairly inexpensive. I searched for a local guide before arriving. I paid a bit more than what you might find by going directly to Huacachina but highly recommend this approach. Our guide, Luis, took us out to the dunes to places where we were alone. He knew the area well and was able to get us away from the crowds. For sunset it felt like we had the entire desert to ourselves. He was our guide for the rest of Ica too, taking us to the other activities I had requested, like the winery and giving us a street food tour. If you’re interested in booking Luis as a guide, he’s offered a 10% discount to my subscribers. Subscribe below to receive the discount code and contact information. Thank you for subscribing! Check your email for the discount code and contact information. The reality of many places that have become popular with tourism is the garbage that comes with it. Ica and Huacachina are no exception. It was sad to see bits of plastic blowing around the dunes and it certainly took away from the moment. When you visit, please make sure to leave no garbage behind. Also, travelling with a reusable water bottle will limit waste. Once the buggy has done a few loops, it’ll park at the top of a dune and everyone get’s a chance to slide down the steep slope. I was initially afraid to try, but my friends talked me into it and I’m glad they did. Sandboarding is fun but here’s a few things to remember before you hurl yourself down the dune. Typically you go head first; this is the safest way to do it. Keep your chin down and arms tucked in. Keep the board straight to go further and stay on the board. Wear close-toed shoes. You use your feet to dig into the sand to slow down and stop, so you’re going to want to protect those precious toes. Flip-flops aren’t a good idea. Lifting your legs in the air will help you go faster, and dragging your feet on the ground will help you slow down. Wax your board to help it slide more smoothly. Most people visit Ica to see the magical town of Huacachina. In fact you’re very likely going to stay at one of the surrounding hotels/hostels. I’m going to start with my honest opinion, which is that the oasis itself isn’t very impressive. You’re certainly not going to swim in it. The beauty is when you see it in context, surrounded by the dunes. So for this, I suggest an early morning dune climb. I’m talking sunrise. You’ll likely experience cooler and calmer weather. This means the oasis will be reflective and you won’t have sand blowing in your face or burning your skin. There’s two major dunes on each side of the oasis, East and West facing. I climbed the one that made sense for photography and lighting in the morning. Don’t try to run straight up the dune. I promise you won’t even make it a quarter of the way without gassing out. The very nature of dunes is the shifting sand under your feet and these ones are steep. Work your way diagonally across the dune or up the ridge. It may seem twice as long but I promise it’s the best way get to the top. Once you make it to the top, give yourself a high five and take in the views. It’s incredible to see the oasis on one side and dunes that fade away into the horizon on the other. The best part about the climb though, is the run back down. What will take about an hour to climb will take two minutes to descend. So play your favourite jam and just enjoy it. Sand dunes aren’t the only thing in Ica. 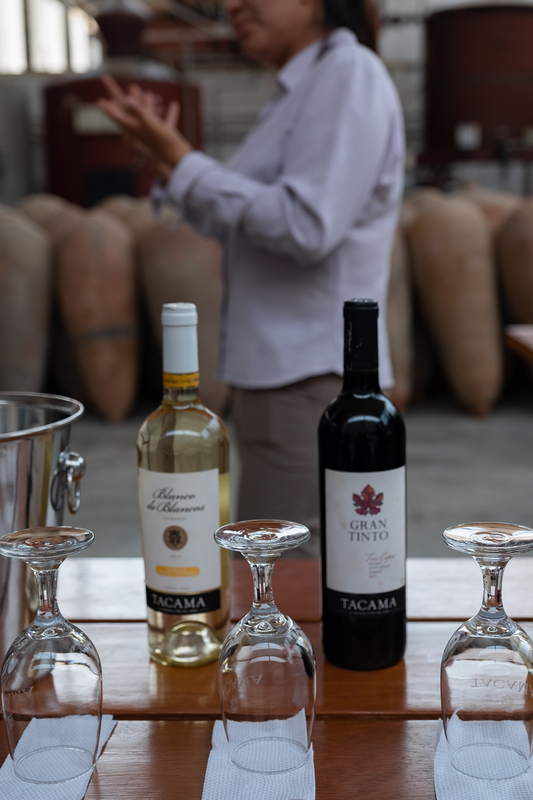 A few kilometres outside the city you’ll find Tacama winery. It’s the oldest vineyard in South America, so that in itself is a feat. They offer English tours and will show you around the facility. 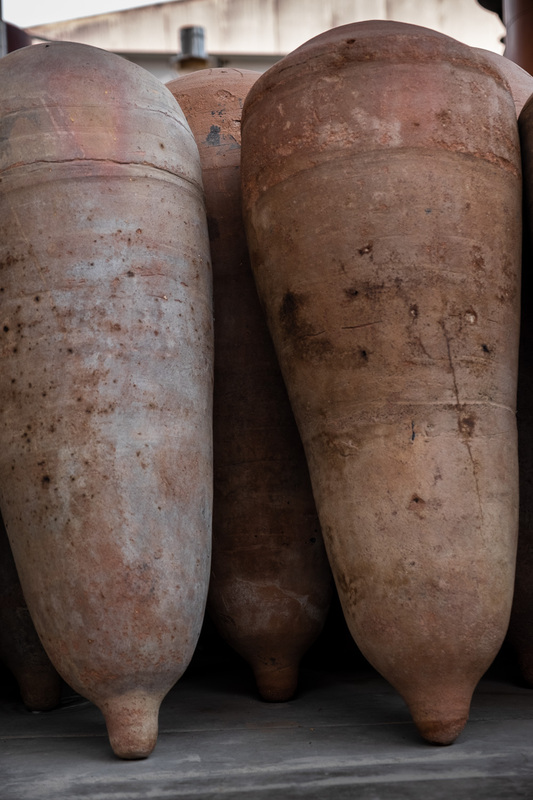 You’ll get a glimpse into the history of the winery and learn about the modern techniques used today. End the tour with a tasting, including some pisco, and you’ll be singing on your way out. If you’ve got the time, enjoy a lunch at their restaurant Tambo de Tacama. The plates were filling and delicious and the surrounding scenery makes for a picturesque afternoon. See more in the “Fill That Belly” section. Ica, being right on the coast, means that there’s no shortage of great seafood. I had exceptional meals during my short stay. This place has hearty traditional plates. Adobo de chancho (pictured below) is a great option if you want melt-in-your-mouth pork. They also serve up a delicious ceviche and Lomo saltado (marinated sirloin and onions - a Peruvian staple). I’m not taking credit for finding this place. 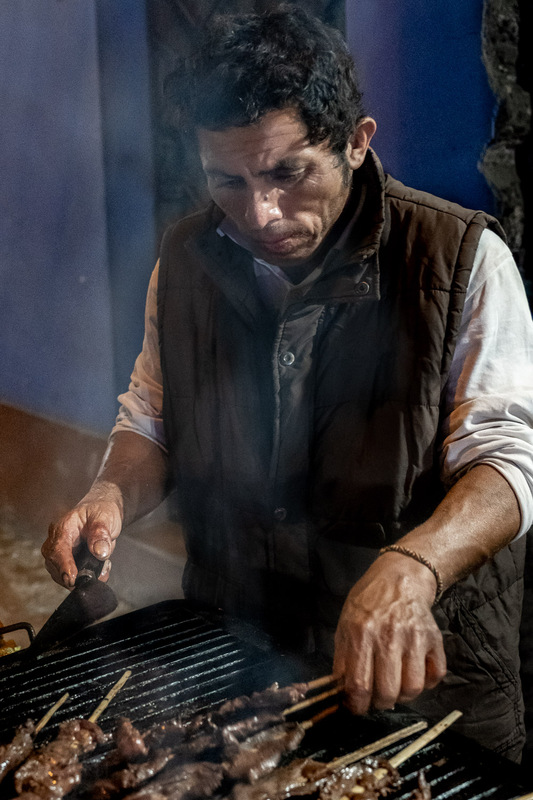 Our guide, Luis, brought us here for lunch and I still claim it was one of my favourite meals in Peru. The ceviche was acidic, as a good ceviche should be. We had a flavourful fried rice and seafood dish called arroz chaufa de mariscos, which rivals the Spanish paella. Added to the mix was some fried fish and fish chicharrone. The plates were garnished with sides of tangy onions which complemented the flavours by adding a nice bite. I love street food, but am constantly paranoid about getting sick. Peru certainly has much to offer but I wasn’t about to risk it by exploring the options on my own. So again, we relied on Luis who took us to downtown Ica for some local grub. We started in a tiny 10 seater for our first sampling of anticuchos. If you don’t know what it is, you may be turned off when I tell you it’s beef heart, but don’t be. They’re marinated for hours then grilled and served with a tangy hot sauce. The meat is tender and delicious and tastes like steak. We were then taken to the middle of the street where there were tables and chairs set up outside. A woman served us some chicken noodle soup (with the chicken’s foot in tow) and we were able to try, for the first time, a papa rellena. This is a fried doughy potato croquette stuffed with meat and it had a slight sweet taste. For dessert we finished with picarones, a fried donut drenched in syrup. If you’re interested in having a guide take you out for street food and to some delicious local restaurants, then contact Luis at Ica Adventures. He’s offered a 10% discount to my subscribers. Thank you for subscribing! Please check your email for the discount code and contact information. Before heading to the bus stop, Luis showed us some of his favourite desserts. We tried Crema Volteada (a creme caramel), Torta de Chocolate (chocolate cake) and a delicious cake with chocolate and creme layers, the name of which I forgot, the taste of which I never will. Some links below are an affiliate link, meaning, at no additional cost to you, I will earn a commission if you click through and make a booking. As always, I only recommend products and services I trust. The most common area to stay in is Huacachina. It’s been developed for tourism so there are lots of options that surround the oasis. I was looking for something calmer than a hostel so I ended up at El Huacachinero, which was a great little spot. The pool alone was worth it. There are other options around Huacachina. I personally haven't stayed here but these two places get raved about online. If you're interested in a more lively and younger atmosphere you may prefer Banana's Adventure Hostel. Getting to Ica in the first place isn’t too challenging. There are several buses that run from Lima to Ica. I opted for a local company, Cruz del Sur. Firstly, it’s a bus company, not a tour company, so you’re not forced into an itinerary like you would be with something like Peru Hop. The buses themselves, or should I say “coaches” are quite luxurious and cheap by North American standards. They’re outfitted with clean, large plush seats that recline and my ticket was only $14USD. Many travel forums talk about safety being an issue with local buses. Cruz del Sur has a pretty good track record for safety. 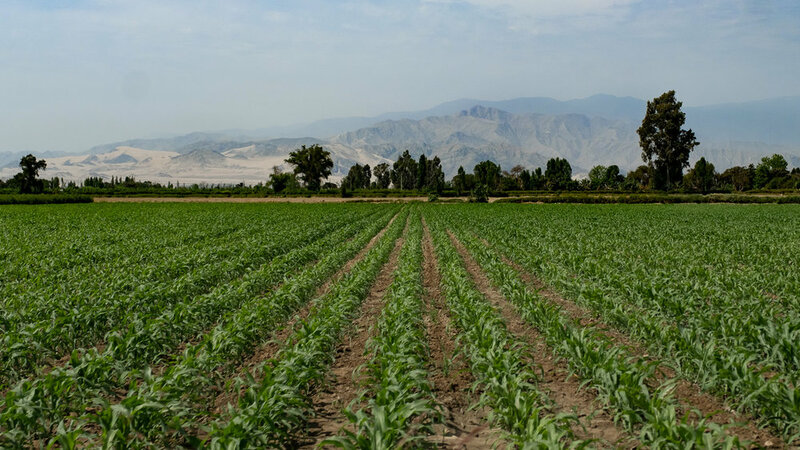 Additionally, it’s often said the most dangerous bus rides are the ones through the Andes, where there is no phone signal, so the bus is more prone to things like robberies. The Lima to Ica is route is considered safe. If you’re wondering about driving I can’t give recommendations one way or another. All I can say is that traffic in Lima is crazy so getting out of the city is the greatest challenge and I personally wouldn’t want to do it. Once you’re in Ica the easiest thing to do is find a driver to take you to your hotel and around the sites. As I’ve said to several times in this post, I had a great guide - Luis - who made sure we got from point A to B and enjoyed every moment of our limited time. I highly recommend him. If you’re interested in booking his services he’s offered 10% off to my subscribers. Thank you for subscribing! Check your inbox for your discount code and contact information. I personally had no incidents to report, however if you look online you’ll find some travellers having incidents in the city of Ica itself. Most travel forums recommend staying in Huacachina for safety. Again, another reason why I loved having a guide for our visit, was that safety was one less thing I had to worry about. There’s no doubt, Ica is great for landscape photography. The rolling dunes, sometimes dotted by little buggies, make for some interesting photos. If you go for a buggy ride it will be bumpy and fast. Make sure your camera is well protected and strapped onto you. Keeping it covered is smart as you’ll experience a lot of sand in the air. I was very careful but still had lots of grains of sand in my camera after my outings. I found a puffer to be really useful on this trip for getting the grains out of tight places. I would stay away from wiping the lens for fear of scratching it. If you’ve got a drone this would be a great time to use it. The top of the sand dune next to Huacachina gives a cool perspective however a drone would give you an even better aerial shot. This 3-Day New Orleans itinerary is packed with fun activities and useful tips. Let the photos inspire your travel and use the map to plan your stay in NOLA. Explore beyond Niagara Falls with this travel guide to the Niagara Region. Includes photography for inspiration, tips and a map of Niagara-On-The-Lake wineries. This 4-day Colorado itinerary comes with a guide and tips to Denver, Colorado Springs and Rocky Mountain National Park. Spend 2 days in Siem Reap exploring temples and the backcountry. I’ll give my honest thoughts of my Siem Reap private-tour experiences. Travel through Oceanside, Cabrillo National Monument & the coastline with this 2-day itinerary and photography guide - San Diego. Complete with photos of cute sea lions. Enjoy this travel guide Loire Valley itinerary. The Loire is a French region famous for stunning chateaux including Chaumont, Cheverny, Chenonceau & Chambord. My travel guide to Thailand has tips for cultural experiences & photo spots. Check out my Thailand 10-day itinerary for Bangkok, Pattaya, Krabi & Chiang Mai. One of the best ways to get around the Faroe Islands is by car. Enjoy this playlist for the ultimate Faroe Islands road trip. In Paris you need to be smart, especially as a solo female. Here I talk about my experiences and how to respond to street harassment. Roam the streets with my London photography blog. It includes travel tips, photography spots and fun activities. Oh, and don’t forget the food! My travel guide includes a flexible Toronto itinerary with photography spots. Made by me, a local, with authentic experiences & my favourite restaurants. Spend 4 days exploring the lush island of Kauai, Hawaii. My Kauai itinerary includes beautiful beaches and breathtaking hikes. All wrapped up with photography and a convenient map. Maui, is for beach lovers, hikers & photographers. My Maui itinerary covers 5 days. The guide includes tips on my favourite experiences, food & photography spots. Corsica beaches sparkle blue and the inland is filled with beautiful mountains and bush. Explore the South of the island with my guide and map.